Walmart Toy List 2018 : Top 40 Toys Picked By Kids! The Walmart toy list’s big claim to fame has always been that the kids picked the items, so that should translating to kids being more likely to get excited from the toys on the Walmart toy list. I always am a bit impressed with their lists, as they do seem to have more of the kinds of things I find my kids talking about and asking for, so it is a list I pay attention to each year. 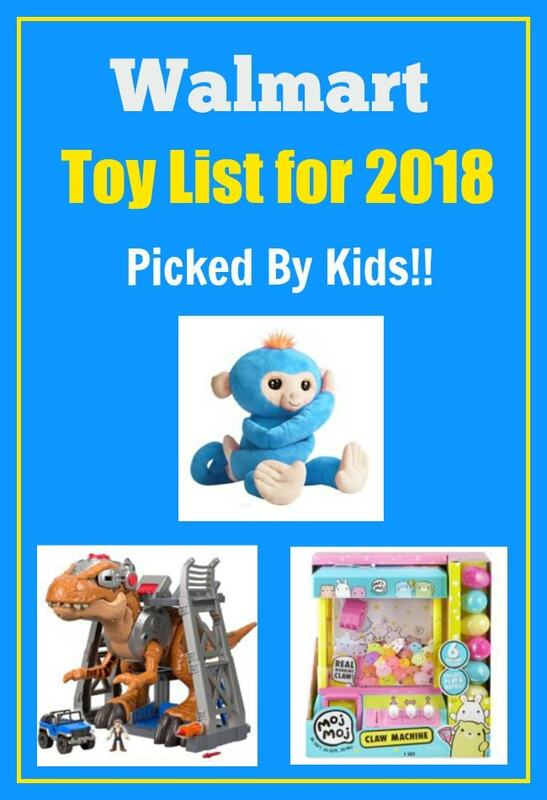 Check out the Walmart Top 40 Toys for Christmas 2018 Kids Pick List here. Walmart offers free shipping on orders of $35+, or if an item is marked as offering free shipping. Keep an eye out for items that are marked “free Pickup + Discount”. You can pick them up at a store near you and get extra savings too! Walmart offers layaway options for purchases made through 12/11. Look for items that are on Rollback savings, to get them when they are selling for a discount. Walmart has a number of toy items that are exclusive to Walmart this year. Some highlights from this years list include the return of the Fingerling, only it is a larger plush version on this years list. This year you will also find many of the toys your kids probably see on You Tube, things like Blind Boxes and Miniature Claw Machines (both items my kids love). You will also find many of the classic favorites, like Legos, Paw Patrol, Dinosaurs, Hot Wheels, Barbie, Hatchimals, LOL and more. Here is the entire Walmart Toy Book List – you can see the ad scans of the pages as well as a Searchable Database for the Toy book deals, where you can look by category or by individual item.